T Nagar is the holy grail of shopping in Chennai, and Kanchi Plaza is the evidence of that. Located in Pondy Bazar, this plaza is a treasure for every Chennaiite looking to shop for pocket-friendly products. 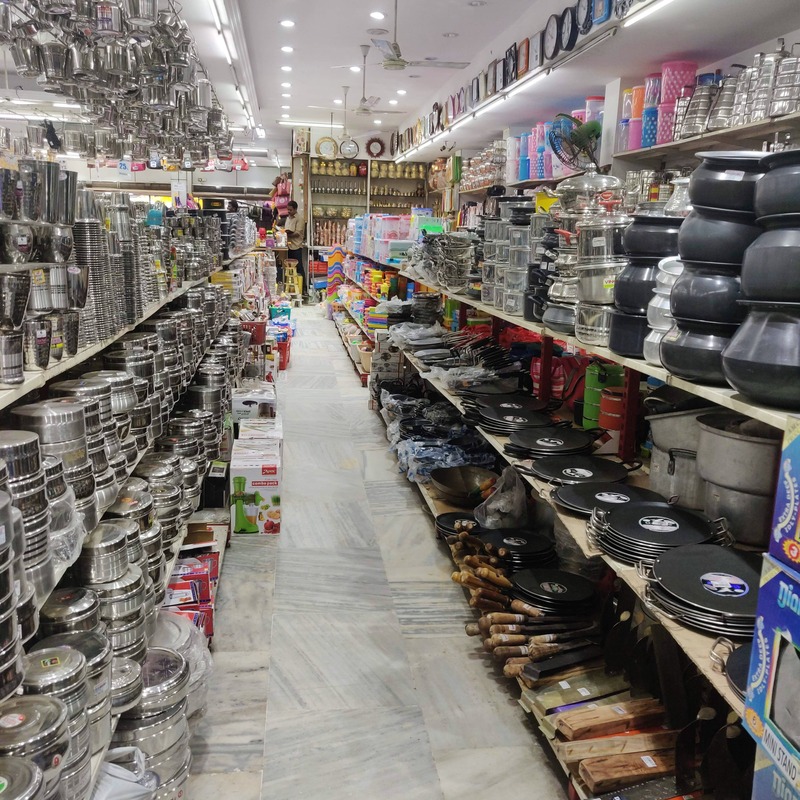 Kanchi Steels on the ground floor has cutlery and kitchenware in steel, glass, ceramic, and wood. If it’s the generic pans, tumblers, and spoons you’re looking for, you’ll find loads of them starting INR 30. The wooden cutlery here is pretty good - we love the wooden bowls, spoons, and spatulas which have a rustic vibe. And, you’ll love them because they are priced from just INR 10! (We picked up a bunch of wooden cutlery here!) For those family dinners where you want to eat in fancy china, the ceramic plate collection here is good. We like the triangle pizza plates and sou bowls priced at INR 130. You can pick up a bunch of Tupperware here too - the tiffin boxes and bottles come in separate or combined sets in a range of colours. There are storage boxes, kitchen essentials, and small bins, too. The main USP of this store is the range of products and the pocket-friendly prices, so check it out and we bet you’ll come back with your bags full.